Basically an infomercial with very little educational content. One of this show's speakers made an not so suddle racist comment on the latest show, about The Real House Wives of Atlanta (and I don't even watch that show), it was in really bad taste if you were to ask me. I really love SCUBA diving, but I will cut all of my fingers off before I listen to this show for one more second, I have unsubscribed, there is not content to this show, it's as if they are winging it. A perfect marriage of shock jock radio and scuba diving. I have dove with these guys and there is never a doll moment! Need more diving content. I get the impression that a lot of the show members never even dive. It may be dedicated to diving but Where's the beef? I have been listening for around 10 months. What was a frat party for divers has improved but has turned into two hours of interviewing current or potential sponsors, it's like the audio version of the old skin diver magazine. For every two hour segment I probably get one useful nugget regarding diving or travel, but I have a long commute. If you are into diving and want some beef in a podcast try Divers Sync or Scuba Obsessed. This is not a show about scuba diving. It is a show that features three over aged, wanna-be frat boys who spend HOURS discussing drinking, parodied Beatles songs, and making sexist jokes. I listened for three months, hoping it would get better. It didn’t. I thought they could redeem themselves at the DEMA show by maybe interviewing manufactures and reviewing equipment, but NOOOOOO. They talked about how drunk they were and how many women they ogled. IF the ever do have an interview, they interrupt the person with stupid jokes and do everything they can to draw attention away from the subject and onto themselves, DO NOT WASTE YOUR TIME ON THIS!!! As a diver since 1978, now land-locked & with a 3 hour daily commute, I'm anxious to find a good SCUBA-related podcast, but this isn't it! My opinion after suffering through the past 7 episodes is that there is way too much worthless banter & schtick. Useful, interesting info related to diving is infrequent & brief. These guys are like two kids playing with a tape recorder in the basement. As at least one other person has commented, if you listen to these guys, be ready to wear out your finger hitting the fast-forward button. Tim, Divemaster, Master Diver, et al. It sounds like some drive time morning zoo DJs that have a passing interest in SCUBA. They interview the same dozen or so guests, and those guests are usually a sponsor. Has little to nothing to do with diving. I have made myself listen to an episode all the way through several times to be fair before I gave up on the show and wrote a review. They try to be funny but fail at humor. I would save my time and visit some of the better dive programs on iTunes. We like the work you all do and can't wait for next week to play your show in are shop . See you all at dema thanks for the hrs hard work lol. Greg sounds like the people I drink, I mean dive with. This is a very disappointing podcast. Very little chat about scuba. The sexist jokes are annoying and offensive. Really now... can we get a podcast devoted to scuba without all of the mindless junk? I am a new diver, and began listening to this hoping there would be something educational and/or entertaining. I was sadly mistaken. Greg the Divemaster is not funny. He is not educational. He yaps for the entire time about everything diving except for anything that would be useful to the listener. He is the worst interviewer I have ever heard. There were may times that the interview was so akward that it made me uncomfortable. If you are looking for equipment reviews, site reviews, diving tips, or anything else that would be useful, just keep looking. I have always loved to listen to the show and think more people should. To me, it puts some fun in to your day and helps you learn a few things a long the way. I hope the show continues well into the future. Hats off to Greg and his crew. Sorry guys, but I really gave your show a try, but there's little to no scuba content in each episode. A little banter goes a long way, how bout some info on scuba?? Your listeners would be better served without all the endless inside and sexist jokes. Here is a quick five star review from your friends at "Little Merman" and "This Show Again". 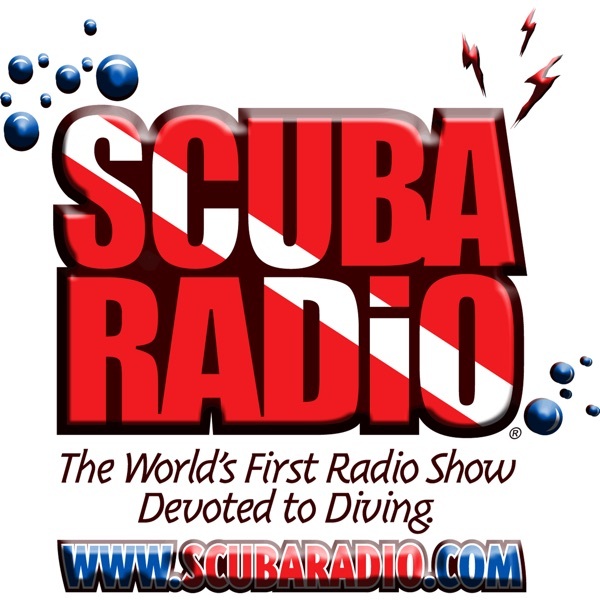 As someone who is knew to Scuba Diving and a long time fan of great radio . . . this is a great show to get my proverbial tail wet. If you like funny people and you're into scuba this is great. It's like hanging out with your dive buddies before you go on the dive. Primarily a chit chat format that's a little light on content compared to some of the other scuba podcasts I'm subscribed to.